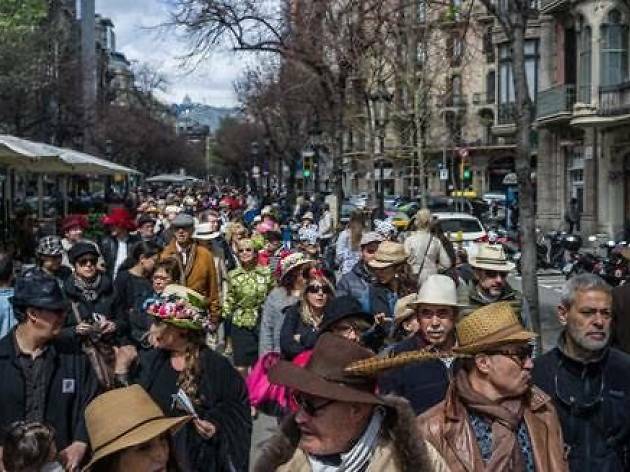 Barcelona's Passejada amb Barret (Stroll with a Hat) is a cultural event that invites everyone who wants to go for, you guessed it, a stroll, while wearing a hat. It's a traditional way to welcome spring and have a bit of fun. Organised by the Hat Association and Barcelona milliners Nina Pawlowsky and Cristina de Prada, the event was inspired by the American concept of the Easter Parade, which is particularly popular in the city of New York, where traditionally Easter Sunday is closed to traffic along stretch of 5th Avenue for people to take a walk in their Easter bonnets. 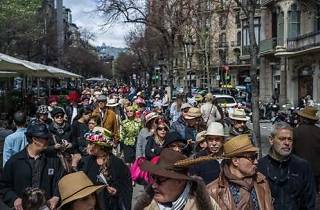 This 13th edition of the Passejada begins at noon at Rambla de Catalunya and Diagonal, at the Girafa Coqueta ('flirty giraffe') sculpture, and ends up at Plaça Catalunya.